Who still sends greeting cards in the mail? Why buy when you can make them. What a cute card make for birthdays, or any occasion, try changing it up and doing different color jean or even different style belts. Have fun and make lots to have on hand. 1. Cut a piece of dapper denim card stock 8 1/2” x 5 1/2” and score it at 4 1/4”. Now cut a piece of designer series paper and cut it 4 1/4” x 1 1/2” and adhere it to the top of the card leaving about 1/8” save at the top. Next use a word window punch or cut your own shapes and adhere two of them over the belt. 2. Next on a piece of dapper denim card stock stam the stitched outline and the V stitch in basic black archiva ink and then die cut out the pocket with the pocket die. Adhere the pocket with tear and tape to the front of the card Add a piece of whisper white card sock to the inside of the card that measures 4” x 5 1/4” and you are done. Just made these awesome invites for a neighbor for her daughter. You van contact me if you ever need cards or invitations made. This awesome card can be changed up for any occasion but is great for summer birthdays. Try making lots of these to have on hand and change them up for different occasions. 1. Cut a piece fo whisper white card stock 8 1/2” x 5 1/2” and then score it in the middle at 4 1/4”. Now cut another piece of marina mist 5 1/4” x 4” and run it through the big shot with the seaside textured embossing folder and adhere to the base fo the card. 2. Next cut a piece of whisper white card stock that measures 3” x 4 1/4” and then a piece of marina mist that measures 2 3/4” x 4” and then another piece of whisper white card stock that measures 2 1/2” x 3 3/4”. Layer and adhere the marina mist one on top of the larger whisper white piece. Wrap a piece of marina mist ribbon around the base of the card, tying a bow off to the side. Adhere the whisper white piece to the side over the ribbon to the right and bottom.of the card. 3. Next using sponge daubers and the second piece of whisper white card stock you cut, sponge the sky with marina mist ink and then the ocean a little darker and then lastly the sand from Sahara sand ink. Be sure to leave an little white in between the sand and the water. 4. Stamp the birds from the retired wetlands stamp set over the sand and then adhere this to the marina mist piece. 5. Lastly stamp the birthday greeting or other greeting, cut out and adhere to the card with dimensionals. Hope to see you there, it will be fun! Please join us for our stamping 102 class where you will learn about advances stamping. You will learn embossing dry as well as wet, mirror stamping, different coloring techniques and more. The cost is $15.00 and all you have to bring is a tape runner. All ages for 8 and up are welcome. 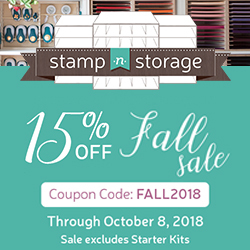 Please join us for our new monthly stamping 101 class where you will learn all about basic stamping. This class is designed for the person who has never stamped befor or those who have just started stamping. This class is 2 hours and you will learn new things, have fun and this class is only $12.00. We ask that you register early so we know you are coming, and you can do this by emailing me at [email protected] or by calling me at 413-203-519.